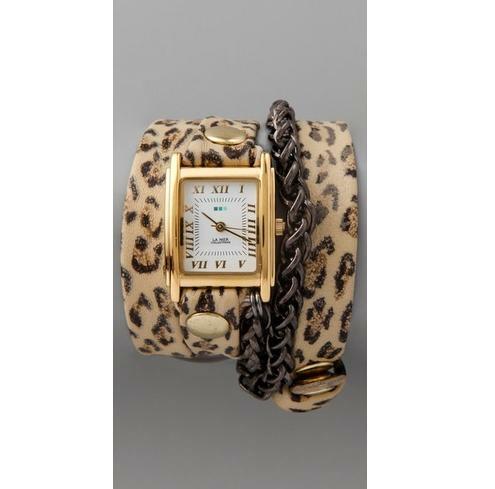 This wrap watch features a Leopard print leather band and a square case. Studs and chain detail. Adjustable length and buckle closure. Exclusive. FREE SHIPPING. * Dial is 1″ wide.